Cups of paint and collections of work consume the floors and walls of the South Hill Business Campus’ Creative Space Gallery as students put the finishing touches on their final art projects of their undergraduate studies. Though moths are often associated with contaminated food, clothing damage and lamp memes, Ithaca College’s Intermediate Printmaking-Lithography class students are reimagining them as beautiful creatures to be celebrated. One of Ithaca’s most defining characteristics is its commitment to public art. Some students sit at a table in the center of the Campus Center’s Klingenstein Lounge, doodling on a large sheet of paper with paint and pastels. “This space isn’t only for artwork, it’s also to connect with people who are part of the community,” Armour said. 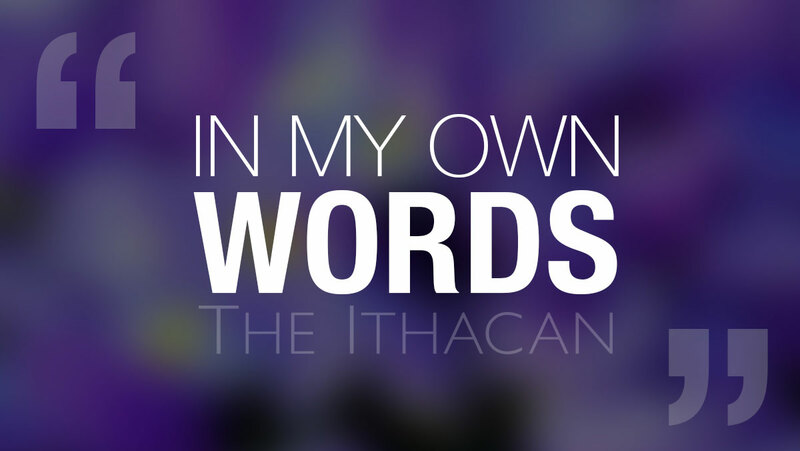 This week on “In My Own Words,” Glenn Epps spoke with Caleb Thomas, a local muralist and graffiti artist who co-founded Ithaca Murals, a group that connects local artists and muralists with surfaces to paint on. Patience-testing and ambiguous, “The Square” is a prime example of a filmmaker trying to say far too many things with not nearly enough words.